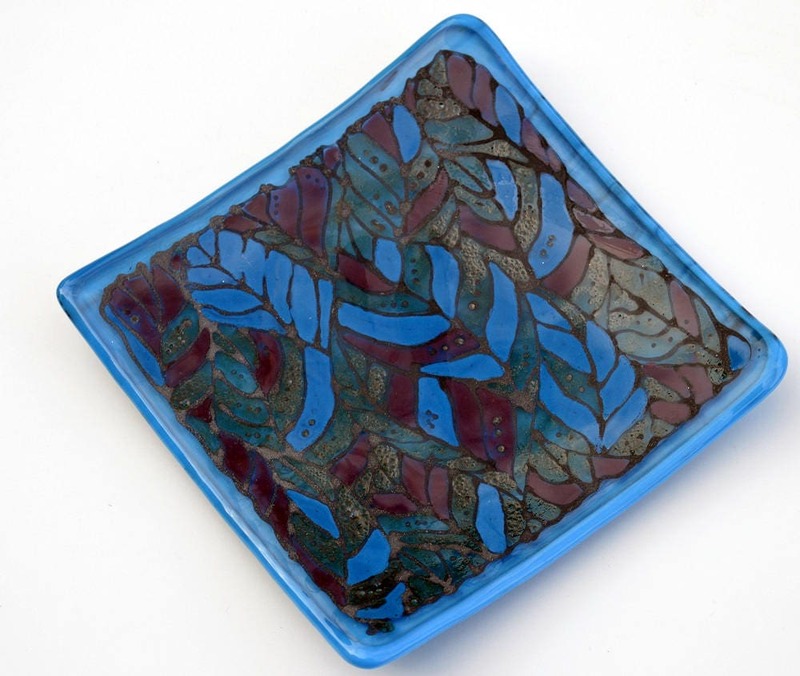 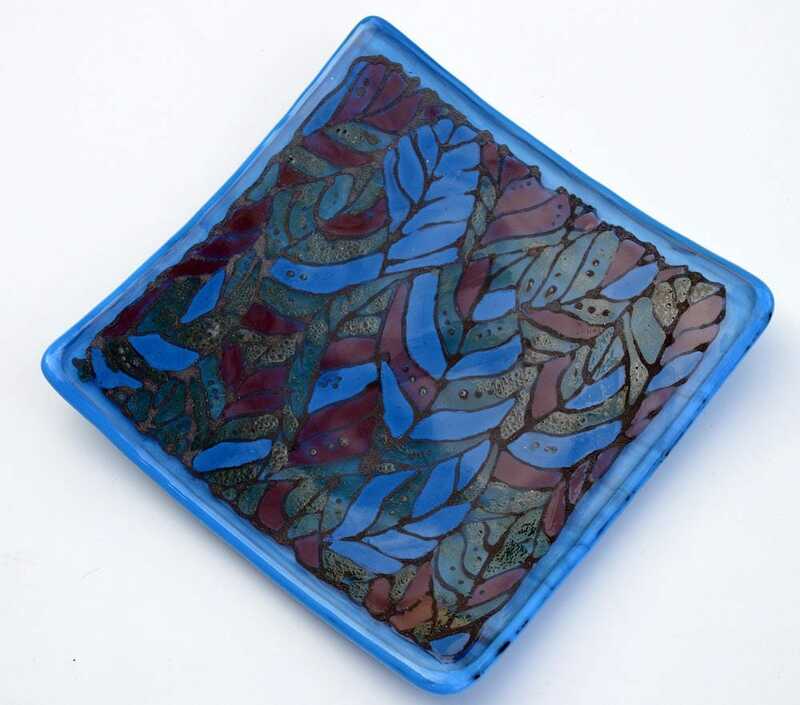 Square hand crafted fused glass bowl, measuring approx.15cm square and 2cm deep. 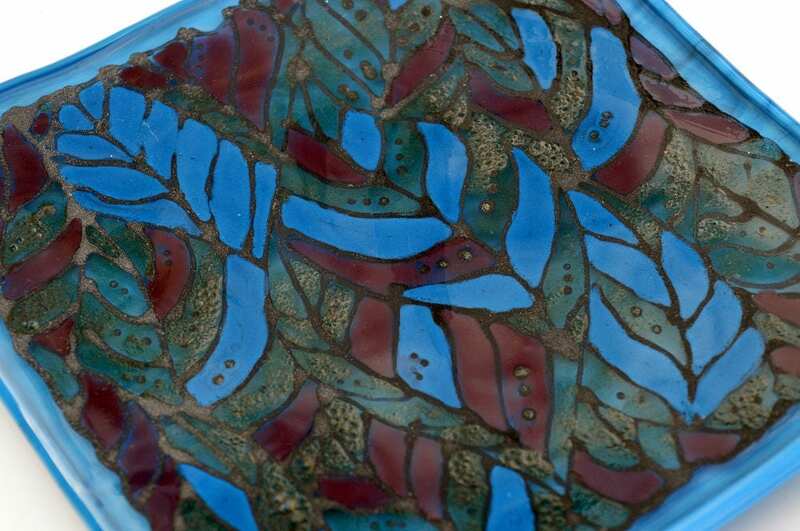 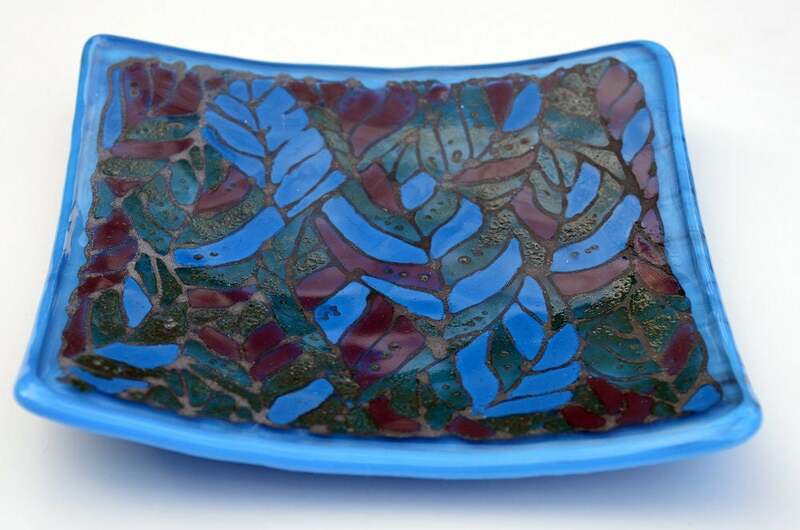 A clear glass layer has been hand painted with enamels in a leaf pattern in blue, purple and teal green. 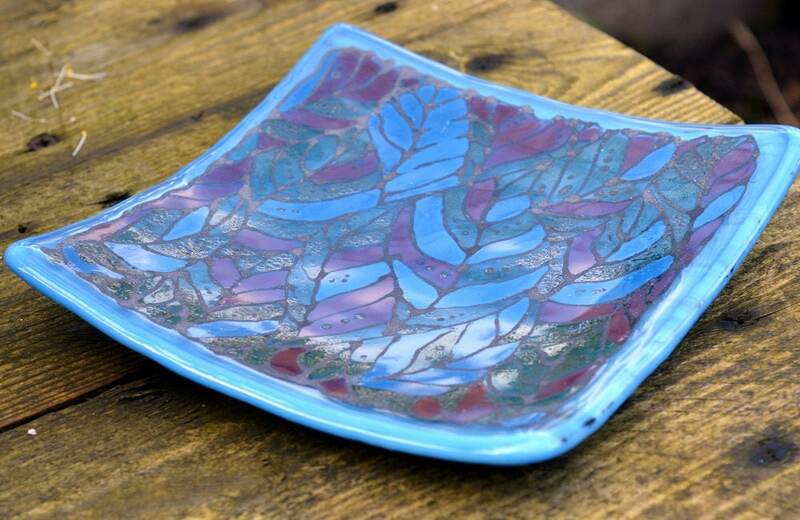 This layer was then fused to a lovely streaky blue and black base layer then slumped into a shallow bowl / dish shape. 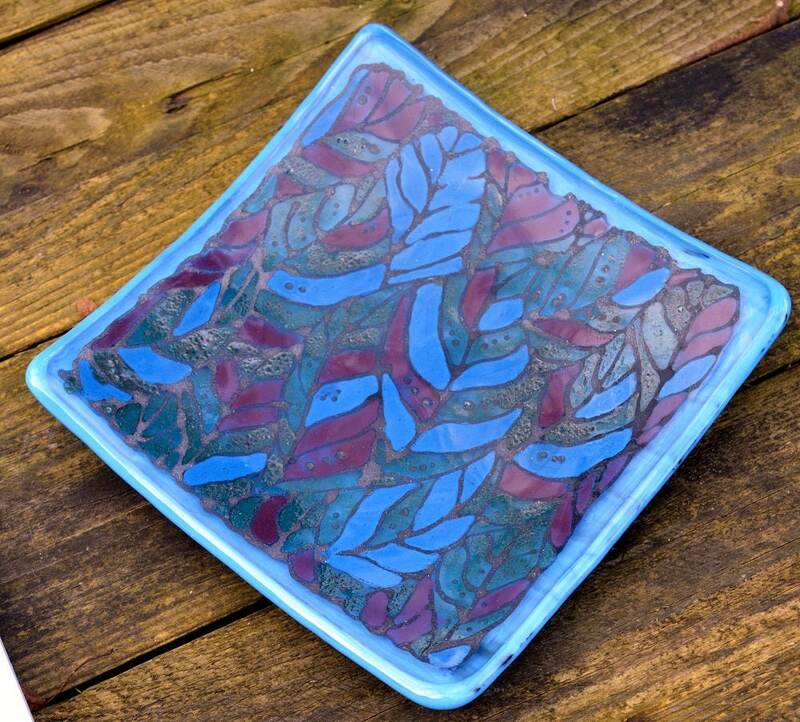 Made in my small home studio in Bristol.